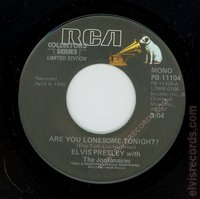 This release is part of the COLLECTORS' SERIES LIMITED EDITION. 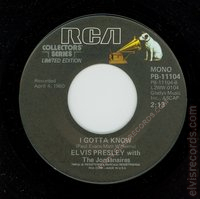 This catalog number and title was released as part of two different box sets released in 1977, RCA PP-11340 20 Golden Hits in Full Color Sleeves and PP-11301 15 Golden Records - 30 Golden Hits. 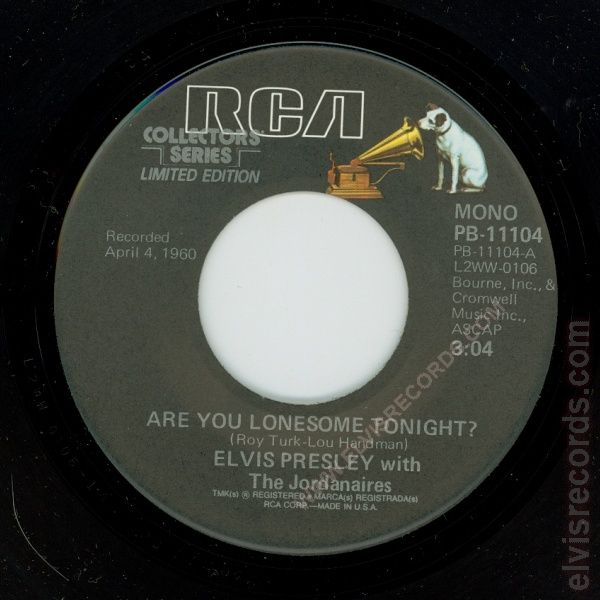 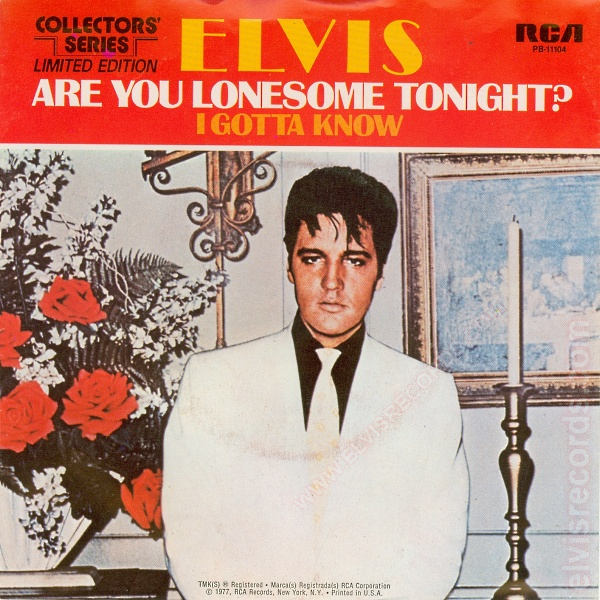 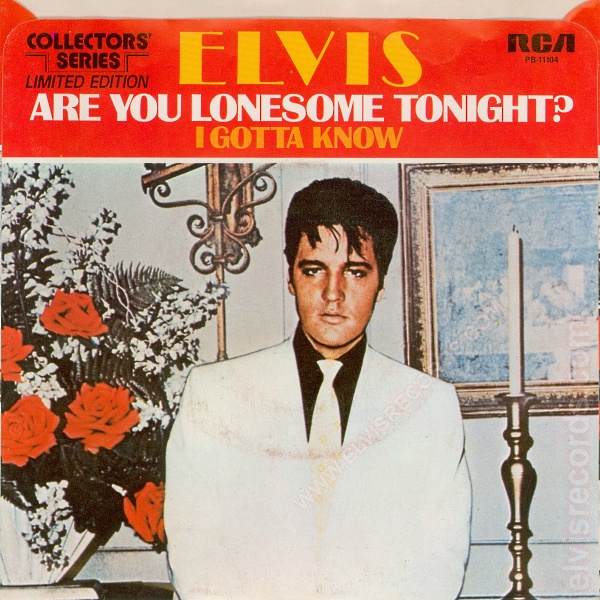 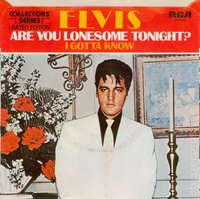 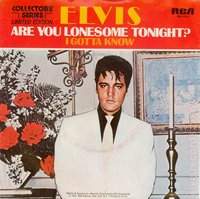 Also available on the Gold Standard Series label as Are You Lonesome Tonight / I Gotta Know.